ZNES will be hosting a fundraiser on Saturday, April 27th from 11:00-1:00 next to Z-Wings. We are asking our students to buy 2 tickets each. Please contact your child's teacher for more information. 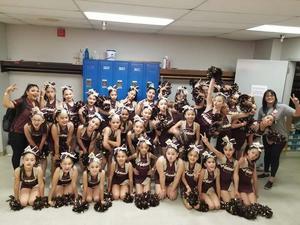 ZNES Cheerleaders traveled to San Antonio's Sea World to compete against other squads this past weekend. The duet team, comprised of Ariza Garcia and Julissa Gutierrez, walked away with a second place win. 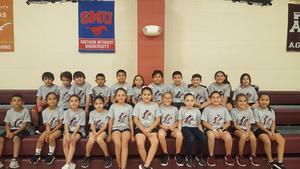 ZNES students attended a bowling tournament in Laredo this past weekend. 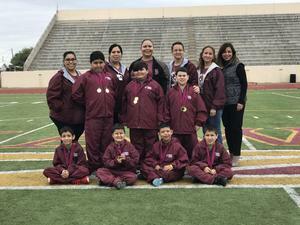 Students took home trophies for Highest Scoring Male (Francisco Munoz), Highest Scoring Female (Gizelle Villarreal), and Highest Scoring Team. Congratulations to all the competitors and winners! Dr. Seuss said, "The more that you read, the more things you will know. The more that you learn, the more places you'll go." 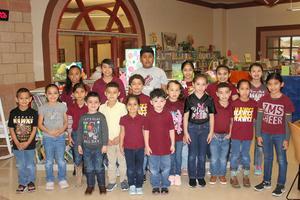 In light of one of his famous quotes ZNES had visitors read to the students to celebrate Dr. Seuss' birthday.